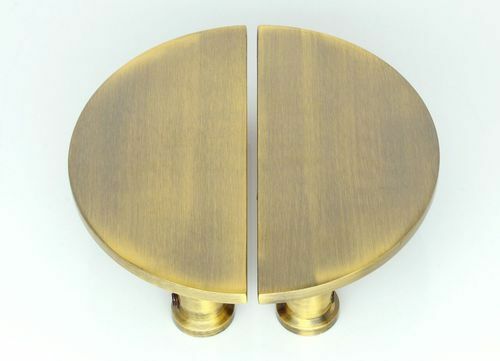 We have been affianced in offering a wide gamut of Brass Semi Circle Pull Handle . Ideal for easy opening and closing of Door / Cabinet / Drawer, this knob is made accessible to the patrons in diverse sizes and designs. The provided knob is precisely manufactured in conformity with set quality norms using the superior quality. Our patrons can easily get this Brass Semi Circle Pull Handle in bulk at affordable rates from us.